FÆÐA magazine is all about the unusual cuisine coming out of Iceland. The magazine is printed in Icelandic and English allowing everyone to experience this incredible insight into a relatively unknown culture. FÆÐA gives you a look into the culture and traditions that are only prevalent in Iceland. The main focus of FÆÐA magazine has to be healthy living. Buy a single issue or subscription to FÆÐA Food magazine. FÆÐA Food not only shows you how to cook but also provides you with inspiration and information about the traditional foods of Iceland. The tone of the publication has a strong editorial view, which keeps you to date on the fast-changing culinary landscape. Featuring equal portions of delicious photography and exceptional articles. 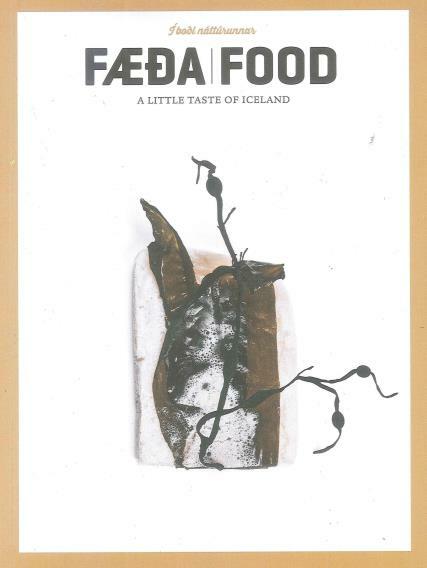 Each issue exposes regions of Iceland’s cuisine that would have otherwise never been seen. The magazine also features several new products, giving them a detailed review. Also, you get a bit of a history lesson as the magazine goes in-depth on Iceland’s folklore. With each issue embracing Icelandic food culture and creative food, this magazine is perfect for anyone interested in Icelandic culinary traditions. Each issue includes chapters on Taste, Heritage and People. So, you get to fully understand all the characteristics of Icelandic food culture. You are also given some traditional recipes for you to try out.